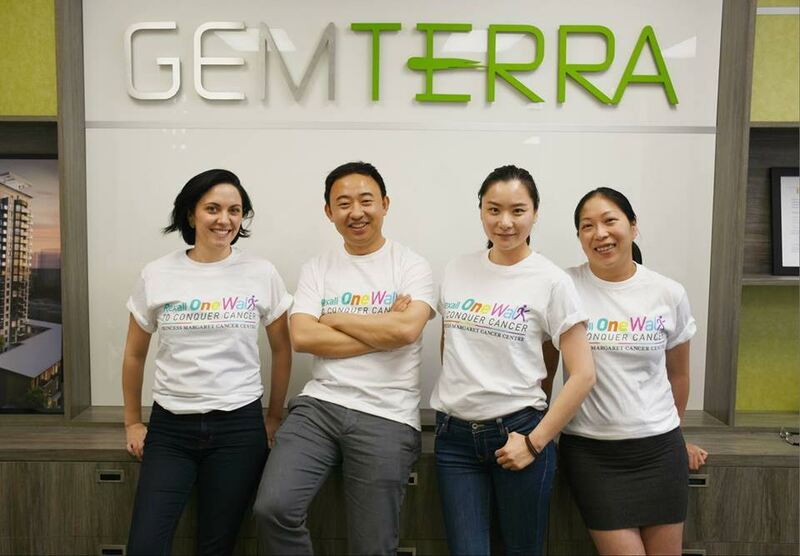 Staff at Gemterra Developments Corporation joined the thousands of participants at this year’s Rexall OneWalk to Conquer Cancer last Saturday to raise funds for the Princess Margaret Cancer Foundation. 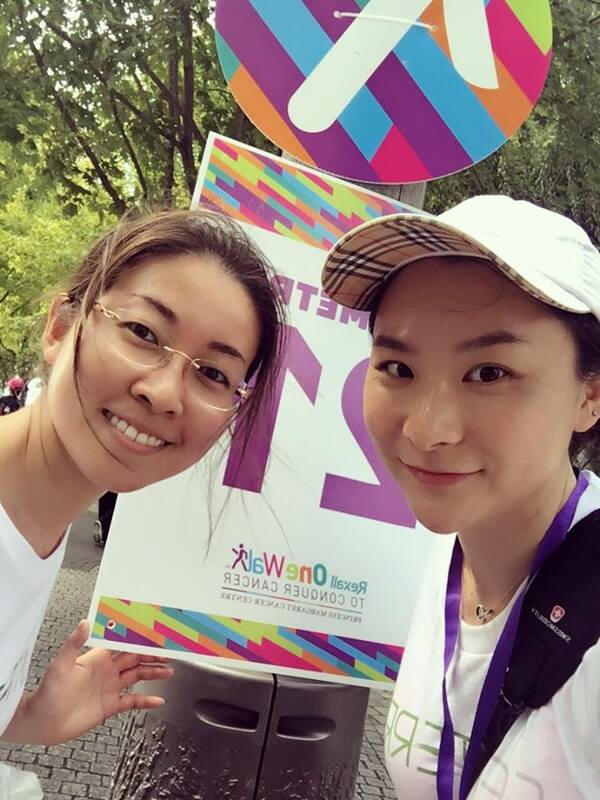 The team raised over $15,000 in support of the foundation — one of the top five research facilities in the world — and walked 25 kilometres through the rain for a collective distance of 175 kilometres. The Rexall OneWalk allows participants to choose to fundraise individually or as a team for the cancer cause that matters most to them. This year’s event saw participants walk 25 kilometres through many of Toronto’s historic and cultural neighbourhood, finishing off at Nathan Phillips Square. 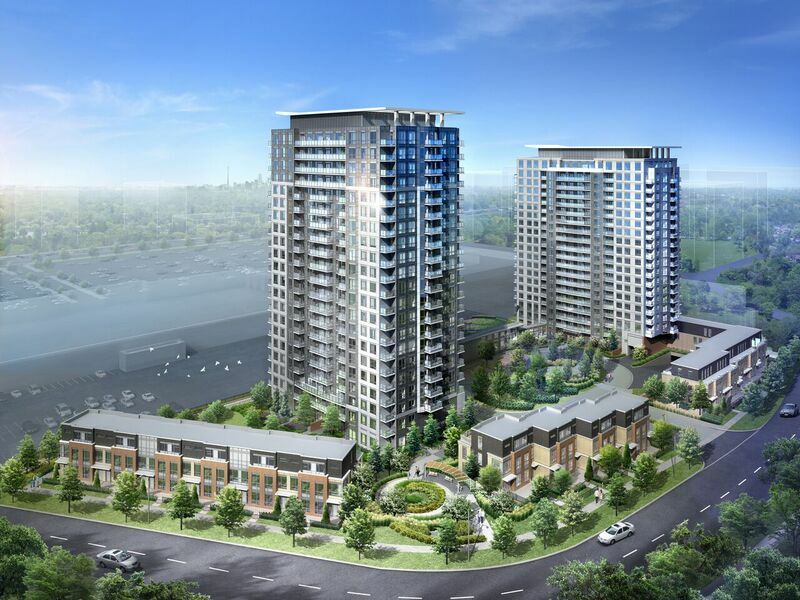 Gemterra Developments Corporation is a family owned and operated company and is the developer behind the sold out Love Condominiums and Joy Condominiums which is currently 85 per cent sold. Joy Condos is currently under construction at 195 Bonis Avenue and boasts a modern exterior designed by the renowned Turner Fleischer Architects. When complete in 2017, the 21-storey tower will house 282 suites, a state-of-the-art fitness centre, aerobics and yoga room and an indoor swimming pool with a hot tub and change rooms. Residents will also have access to a 4,000 square foot, sustainably landscaped green roof terrace atop the glass enclosed Amenity Centre. The impressive outdoor space was designed by landscape architect Gus Maurano of The MBTW Group and offers a walking path, plenty of seating and lush landscaping. 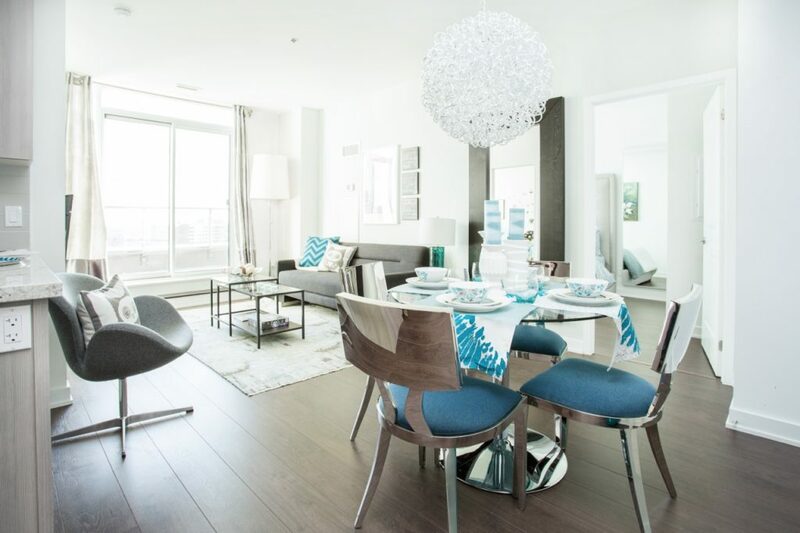 Priced from $266,900 the suites feature spacious, open concept floorplans, high ceilings, and expansive windows. Standard finishes include nine foot ceilings, premium plank laminate floors, contemporary kitchen cabinets, ceramic backsplash and quartz countertops. A modern stainless steel appliance package is also included consisting of a refrigerator with bottom freezer, paneled multi-cycle dishwasher, glass electric cooktop and self-cleaning oven. To learn more about the development, visit the presentation centre located at 175 Bonis Avenue, open Monday to Thursday from 12pm to 6pm and weekends from 12pm to 5pm.